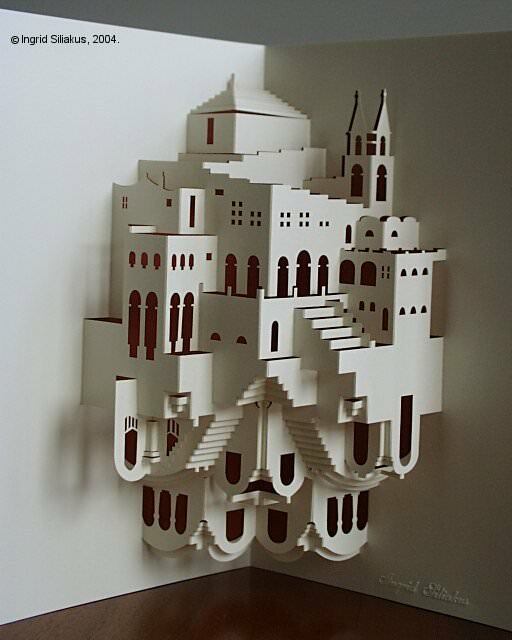 An original abstract paper sculpture design by origamic architecture artist Ingrid Siliakus. These pieces are beautifully laser-cut and, hand folded and assembled. Each piece is signed by the artist and mounted onto an integrated backing card. Folded flat, they measure 15 by 21 centimeters. An envelope is included for protection in transit and storage. This item is out of stock and, we do not expect to receive more.